We pack a lot into this one day event. From agricultural, horticultural and craft competitions, to cookery demonstrations, sheep shearing and family activities, we are sure you'll be kept busy just deciding what to do next!! The 2018 show programme is available for you to view and download here. Of course, we would encourage you to buy a copy at the gate to have in your hand to make sure you don't miss anything. Just £1 a copy. If you are interested in becoming involved in the Show, Farmers' Market or other events hosted by us please get in contact. Thank you for picking up this competition schedule. We do hope you will join us for our twelfth Show on Sunday August 26th. After a couple of damp years, show day 2017 was glorious and so our fingers are very much crossed for more sun again this year! 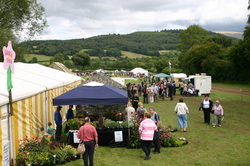 As well as the cattle, sheep and horse classes we have a very popular dog show; lots of great main ring attractions; trade and exhibition stands across the show site; vintage vehicles and the Llangynidr Garden and Craft Show in the village hall. 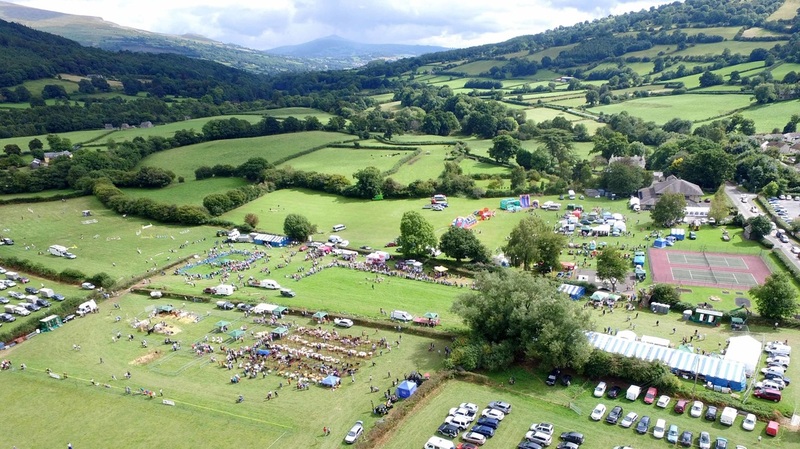 Back in the main ring this year will be the hugely talented Wye Valley Axemen and the ever popular sheepdog and runner duck display provided by Hywel Davies. Last year the day finished with an evening speed shearing competition organised by Bwlch and Crickhowell YFC. We are delighted that the young farmers will be organising another event this year and we hope that it will become a regular fixture for our Show and the local shearers. I continue to be supported by great committee and an amazing team of volunteers who give up their time before, during and after the Show. Special thanks go to the landowners, all of our sponsors, advertisers, competitors and traders for their continued suport. We look forward to seeing you all in August.